Any time something is called “melt-in-your-mouth”, it instantly kicks the yum factor up. 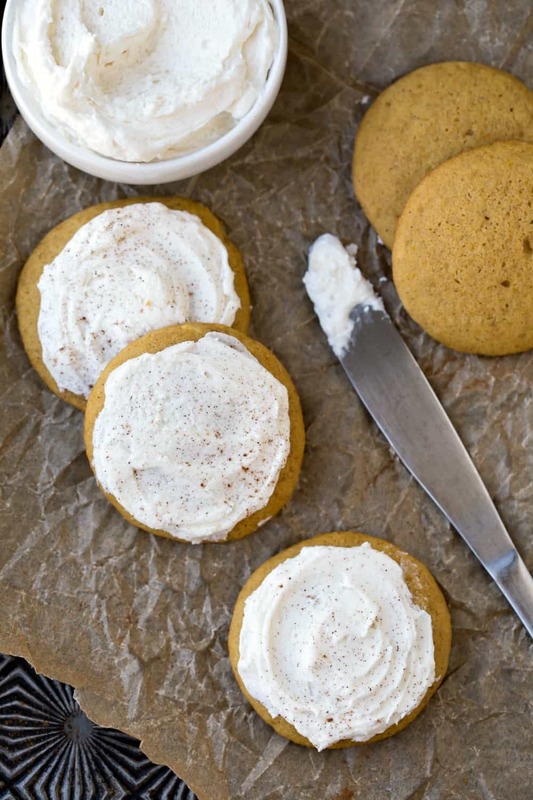 And these Melt-In-Your-Mouth Frosted Pumpkin Cookies have plenty of yum! 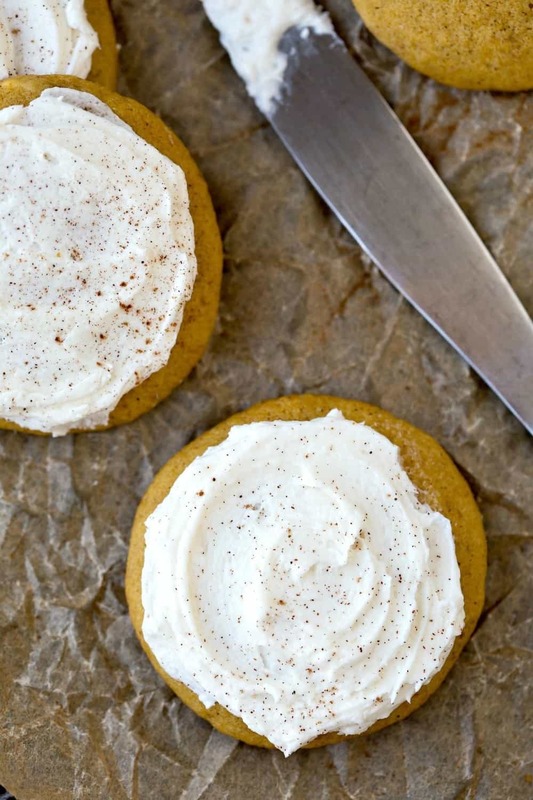 The Melt-In-Your-Mouth Frosted Pumpkin Cookies are tender, cake-like pumpkin spice cookies. 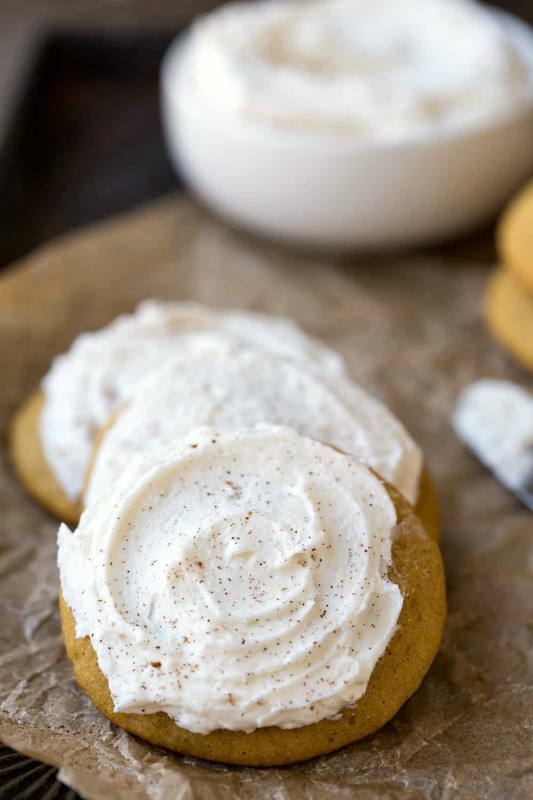 I like a good amount of spice in my pumpkin spice cookies, so I add a fair amount of pumpkin pie spice. 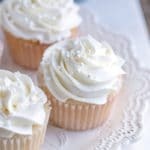 The cookies are topped with a super rich and creamy vanilla buttercream frosting. 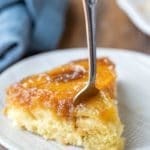 It is sweet and buttery with plenty of vanilla flavor. 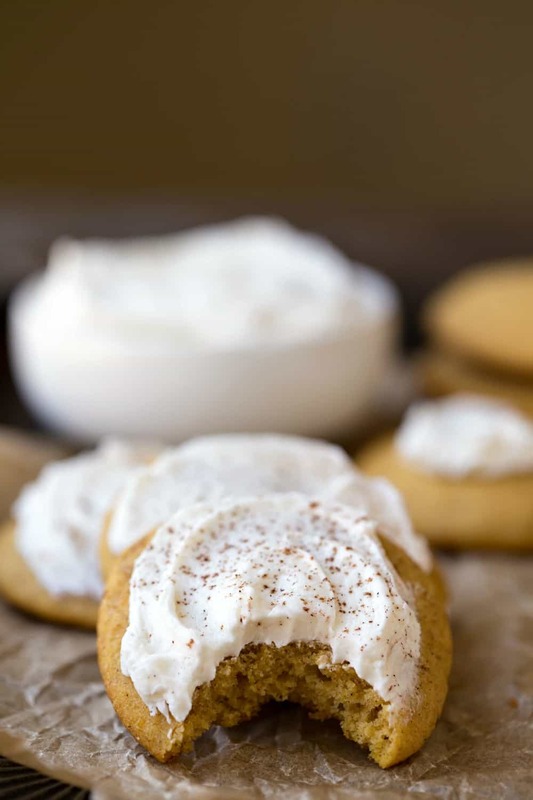 This pumpkin cookie recipe makes just over 3 dozen cookies, but it you need to make a double batch, this recipe does double well. If you’ve tried this melt-in-your-mouth pumpkin cookie recipe, don’t forget to rate the recipe and leave me a comment below. I love to hear from people who’ve made my recipes! You can SUBSCRIBE to receive my latest recipe newsletters or FOLLOW ME on FACEBOOK, INSTAGRAM and PINTEREST for even more delicious food. In a large bowl beat the butter on medium speed for 30 seconds. Add sugar, baking powder,baking soda, salt, and pumpkin pie spice. Beat until combined. Stir in flour until incorporated. 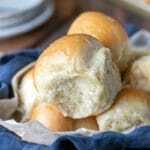 Drop 1.5 tablespoons of dough 2 inches apart on prepared baking sheet. Bake for 10-12 minutes or until tops are set. For frosting, beat butter until smooth. Add 2 tablespoons milk and vanilla extract. Beat until combined. Continue beating, and add powdered sugar 1/2 cup at a time. Add in additional milk to make desired consistency. 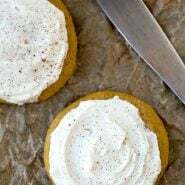 Spread frosting on the tops of the cooled cookies. I followed the recipe exactly and got lovely cookies. The frosting is really fantastic. I am wondering whether the flour amount is incorrect. Although the flavour was delicious my cookies lacked form as seen in the photos. No, it should have been 2 cups of flour, not 1. I sincerely apologize that there was a typo in the recipe.